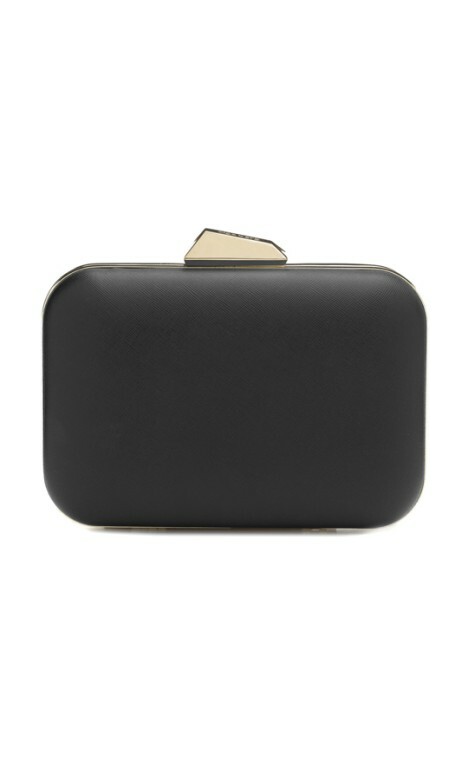 This classic clutch by Olga Berg is the ultimate complement to any outfit! The matte texture is luxurious with an embossed clasp and shoulder chain that tucks neatly inside when not in use. This versatile clutch fits all the essentials and just a little bit more! Rent yours to wear with a gorgeous lace number, a little black dress, or a strapless ensemble! Stun at your next day out at the races when you dress up your outfit with this stunning clutch! Check out our 'The Races Dress Hire' customer story for more exclusive outfit inspiration! White version as worn by Jennifer Hawkins. Cady Oversized Matt Pod - Black is rated 5.0 out of 5 by 2. Rated 5 out of 5 by TSmith from Great bag Awesome clutch, looked great with my dress. Large enough to hold everything you need. Rated 5 out of 5 by Holl from Perfect Black & Gold Clutch I rented this last month for a charity ball. The oversized pod holds everything you could possibly need for a night out without looking too chunky. The perfect black & gold clutch!